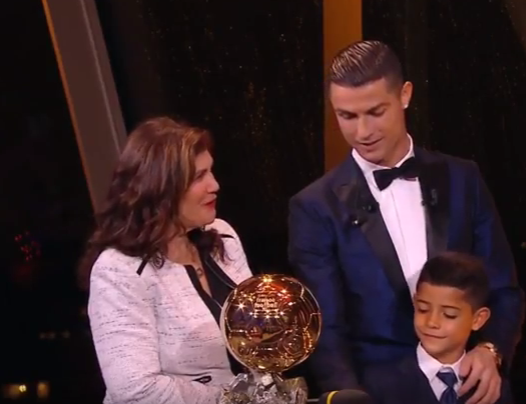 Real Madrid forward, Cristiano Ronaldo, has won the 2017 Ballon d’Or prize. The 32-year-old was named the winner of France Football’s prestigious award at a ceremony in Paris on Thursday. Ronaldo had previously won the award in 2008, 2013, 2014 and 2016. In achieving this feat, the Portugal captain now draws level with Lionel Messi on five awards. The Ballon d’Or, considered by many as the ultimate prize for an individual, is awarded to the best player in Europe.